Lucky are the users who have gotten the latest version of Android — the Android 6.0 Marshmallow — running on their LG G4 handsets. This major update of the OS brings with it lots of bug fixes, changes, and new features for the users to enjoy on their high-end phones. While the update brought along really great goodies, it broke the root access that the users were having on their phones. If you are one of those users who have lost root access due to the update, here’s how you can go about re-rooting your phone. The tutorial just works fine for the LG G4 running Android 6.0 Marshmallow. Your phone must have a custom recovery installed on it before you can do this tutorial. If it does not, flash one using our how to install a custom recovery on the LG G4 tutorial. When a custom recovery is up and running on your phone, return to this tutorial and continue. This flashes a custom kernel in order to gain root access on the phone. Download Custom Kernel to your computer. It will be flashed on your phone using the custom recovery mode. Make sure you have not extracted the Custom Kernel archive. It must be in .zip format or you will not be able to flash it through a custom recovery. Connect your LG G4 to your computer using a suitable USB cable. Ensure that your phone can receive files from your computer. Copy Custom Kernel .zip from your computer over to the internal SD card storage on your phone. Don’t place it deep inside the folders, just place it on the top so you can find it easily in the later steps. When Custom Kernel is copied, disconnect your phone from your computer. Turn your phone back on in custom recovery mode. You can do that by holding down Volume DOWN and Power buttons together for a few seconds on your phone. Your LG G4 should now be in recovery mode. In the recovery mode, you should see an option that says Install. Tap on it. It is for flashing a custom file on your phone. Navigate to your internal SD card storage, find Custom Kernel .zip, and select it to be installed on your phone. Confirm the prompt by tapping Swipe to Confirm Flash. Wait for TWRP Recovery to install Custom Kernel .zip on your phone. When TWRP’s done installing custom kernel, reboot your phone using the Reboot followed by System option. Your phone should reboot normally. Your LG G4 running the latest Android 6.0 Marshmallow is now rooted and you can check it for yourself by looking for the SuperSU app in your app drawer. If it exists there, you have root on your phone. Also, you can have the root permission checked automatically using the Root Checker app on your phone. Now that you run the latest and the greatest version of Android so far along with root access on your phone, it is time to go ahead and get the most out of it. Start off by installing root-requiring apps and checking each and every of them out to see what works the best for you. There’s a lot to be explored in the rooting world and the post here should give you some ideas. 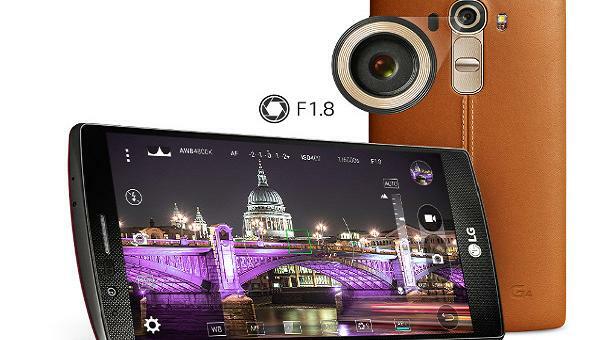 Moreover, you can check out the 5 best custom ROMs for the LG G4 smartphone.